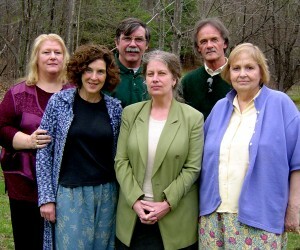 The poetry and fiction of Jim Beschta, Pat Fargnoli, Terry Farish, John Hodgen, Adelle Leiblein, Susan Roney-O’Brien, and myself; classified by poet, translator and critic Zhang Ziqing as the Monadnock School of New Pastoral Poetry is rooted in geography and time– the geography of a Central New England region that has, over the past century, reverted to mostly forest and is dominated by a mountain which though only 3,100 feet in height nevertheless is the peak most striking if one journeys inland from the coast or north from Connecticut and New York. This same geography also has brought these seven writers who have devoted their lives to language within traveling distance of each other. 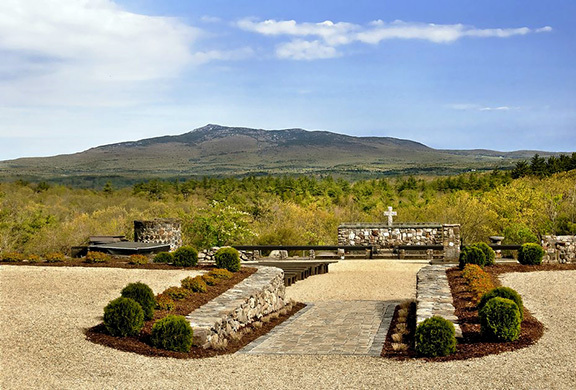 Monadnock– the name inspired the American Transcendentalists over a century ago so we do little more than continue a tradition begun by Thoreau and Emerson and carried on by Galway Kinnell in his book Flower Herding on Mount Monadnock. Monadnock– the most climbed mountain in the world after Mt. Fuji; Monadnock– a small peak that nonetheless inspires the kind of surrealistic leaps in time and place that can carry poems like my “Olmec” from the conquest of Montezuma’s empire to Cortes “brandishing a gold-encrusted cross” atop the now-consigned-to-history World Trade Towers in New York City or, conversely, in John Hodgen’s “Old Men in Restrooms” from a dingy public urinal to Pizzaro “peeing off the edge of the New World.” The mountain itself is directly referenced in Fargnoli’s poem “Still Water”: “A thin gauze of rain stalls over Mt. Monadnock. / This is the way I drift.” I call it “an ancient whale of rock” in “Along the Monadnock Watch.” Terry Farish uses it as a backdrop for two of her novels (If the Tiger and A House in Earnest). 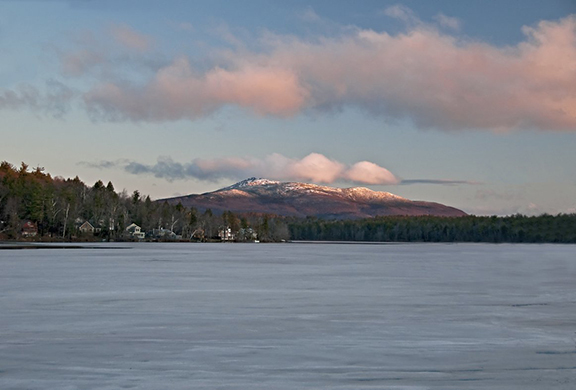 Adelle Leiblein uses the mountain in the title of the anthology she edited: Ad Hoc Monadnock. This distinguished collection not only carries work by three of these writers (excluding herself), but also shows the influence of this geography over a number of other regional artists. Others in the group have ranged to the reaches of Asia for a sense of that spirituality. For example, Terry Farish’s novel If The Tiger brings the meeting of Kipling’s (who wrote The Jungle Book near the western shadow of Mount Monadnock) East and West together in the tragic encounters of a Cambodian family along the cold flanks of that same mountain. She has such tight control of her language that she can use the sparseness of her prose to, as Andre Dubus says, focus “on a pair of sneakers hanging from a telephone wire and make you see the Gulf War, because she knows that beating of one woman by one man is blood flowing through the heart of war, and the quest of two young women for family love is blood flowing through the hearts of everyone.” In Farish’s latest book, A House in Earnest, by giving her characters Biblical names (Christie, Deborah, Ian and Patience conflicting and surviving in a store named The Three Eves in a town called Bethlehem) she creates an allegorical tale that brings the American experience with war in Vietnam into a spiritual and philosophical perspective that suggest America may not be as far removed from the Aztec as it would like to think. Leiblein also takes note of Eastern tradition by creating an almost Xanadu place of happiness in “The House of Blue Tile.” My Nemo Poems center around the American war in Vietnam but my need to find an objective persona results in a narrator from beyond the planet itself. It is this appeal to using the ancient sense of rural caution and faith in the land that gives our writing power to stand in the face of the technological culture that seems to be engulfing us with ever-increasing speed. In conclusion, that seems to be what we “New Monadnock Pastoralists” are all about—not bringing Monadnock to the world, nor bringing the world to Monadnock, but using the influence of that unshakable rock to focus past and present in a linguistic pilgrimage with “One who stands alone” that will in some way permit any of us on this planet a chance to find inner peace in a human world that seems intent on depriving all of us of that peace. *This photograph was taken on University Drive (near Franklin Pierce University) in Rindge, NH at 6:40am on the morning of March 31, 2009. The Camera settings were 1/100 second at F/5 with the ISO set to 200. The Lens used was a Nikon 18-200mm set to the 35mmEquivalent of 40mm. The camera used was a NIKON D300 digital camera. 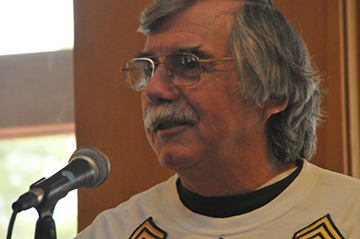 **This photograph was taken at the Cathedral of the Pines in Rindge, NH at 08:44 am on the morning of May 8, 2009. The Cathedral Pines were destroyed in an ice storm in December of 2008. This image shows the area after extensive restoration and landscaping. The camera settings were 1/400 second at F/9 with the ISO set to 200. The lens used was a Nikon 18-200mm set to the 35mm equivalent of 60mm. The camera used was a NIKON D300 digital camera. 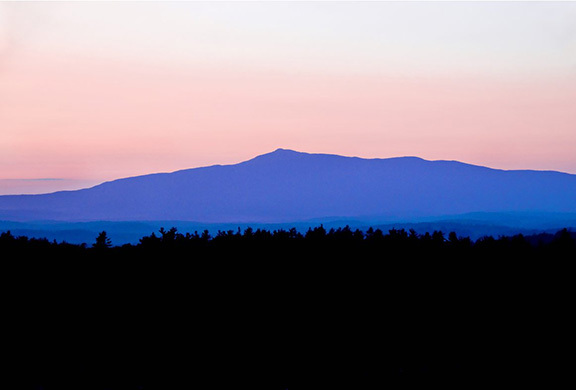 ***This photograph of Mount Monadnock was taken at the ‘Cathedral of the Pines’ in Rindge, NH on August 19, 2009 at 7:04pm. The camera was set to 1/15 second, and F4.8 with the ISO set to 200. A Nikon 18-200mm lens was used and set to the 35mm equivalent focal length of 62mm. The camera used was a NIKON D300 digital camera.